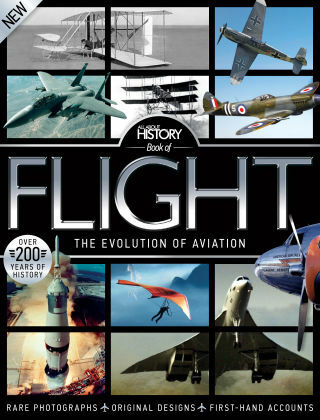 With Readly you can read All About History Book of Flight and thousands of other magazines on your tablet and smartphone. Get access to all with just one subscription. New releases and back issues – all included. The story of flight is a global one. From Kitty Hawk, North Carolina, the site of the first flights by the Wright brothers, through to modern day Afghanistan and Iraq where aircraft have been at the forefront of conflict, the All About History Book of Flight takes us across every continent, into the skies above deserts, oceans and beyond, in times of peace and war. As much about people as it is about technology, this is a story of passengers and pilots, entrepreneurs and adventurers, involving both high drama and terrible human tragedy.